WORTHAM – The Grapeland Sandies secured a playoff berth on Friday night, Nov. 3 with their 35-18 victory over the Wortham Bulldogs. 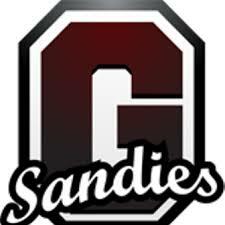 While they were probably going to make the playoffs regardless of the outcome, the Sandies removed any doubt with their win. After the Sandies first possession went nowhere, Grapeland stuck quickly the next time they had the ball. On their second play of the series, wide-out Tyrin Wiley got behind the Bulldog defense and QB Rick Frauenberger found him along the sidelines for a 52 yard scoring strike. The PAT by Josh “Bear” Ackley was good and staked the Sandies to an early 7-0 lead. That was all the scoring for the first quarter, but the Sandies struck again in the second quarter when Frauenberger was flushed out of the pocket and found James Coleman in the back of the end zone for six. Ackley’s extra point was good and brought the first half scoring to a close with Grapeland ahead by a margin of 14-0. “I thought we were a little lethargic on offense,” AD/Head Coach Wayne Mahaffey said after the game. The coach added he thought Brayden Cheatham did a good job of running the ball. “He had 96 yards rushing and a touchdown. Our running game was pretty good. We ended up with 176 yards on the ground and 244 yards of passing,” he said. On the defensive side of the ball Mahaffey said the Sandies performed well in the first half. “We forced them to punt the ball several times early on and at halftime we talked about maybe getting a shutout. It’s been a while since we had a shutout around here. Maybe we got tired, but I didn’t feel we carried the intensity into the second half,” he said. The Sandies other two touchdowns came on a short run from Frauenberger and a 50-yard gallop from Brannon Bedre. The Sandies return home next week for their regular season finale against the Mt. Enterprise Wildcats. It’s senior night at Sandie Stadium next Friday, Nov. 10. The game is scheduled for kickoff at 7 p.m. but the pre-game festivities are scheduled to begin at 6:30.